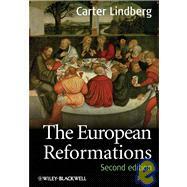 Carter Lindberg is Professor Emeritus of Church History at Boston University School of Theology. Widely recognized as a leading authority on the Reformation, he is the author or editor of numerous books, including Love: A Brief History Through Western Christianity (2008), A Brief History of Christianity (2005), The Pietist Theologians (2004), The Reformation Theologians (2001), and The European Reformations Sourcebook (1999), all published by Wiley-Blackwell. Was the Early Reformation a Failure? Protestant Mission and Evangelism: The "International Conspiracy"